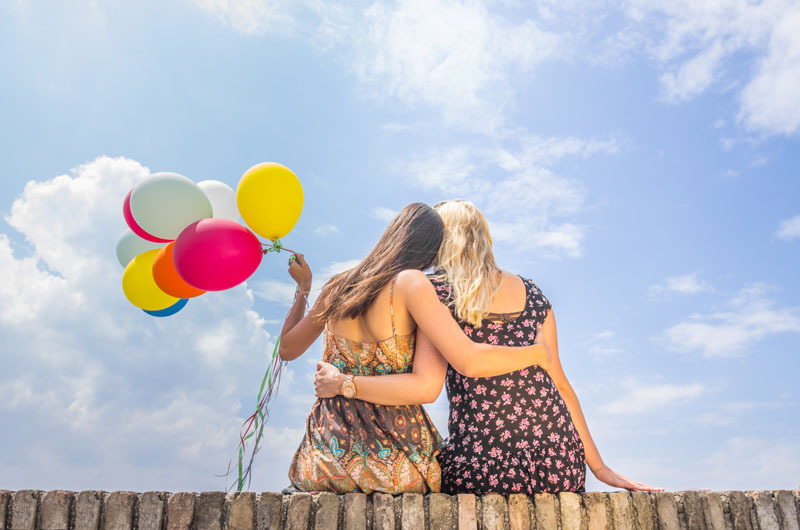 We provide opportunities for women to connect with other women, study God’s Word, and encourage each other in love as they journey together while growing in the grace and knowledge of Jesus Christ. Women’s ministry is for women of all ages and welcome all who wish to be a part of our family. We create an environment that is centered around loving and supporting each other in the same way that Christ loves and supports us. Our goal is to help each other to follow Jesus in the best way that we can. We have several events throughout the year including a ladies tea in the spring and a ladies retreat in the fall. If you are interested in being a part of women’s ministry, or want to know about upcoming events, Please feel free to contact us. 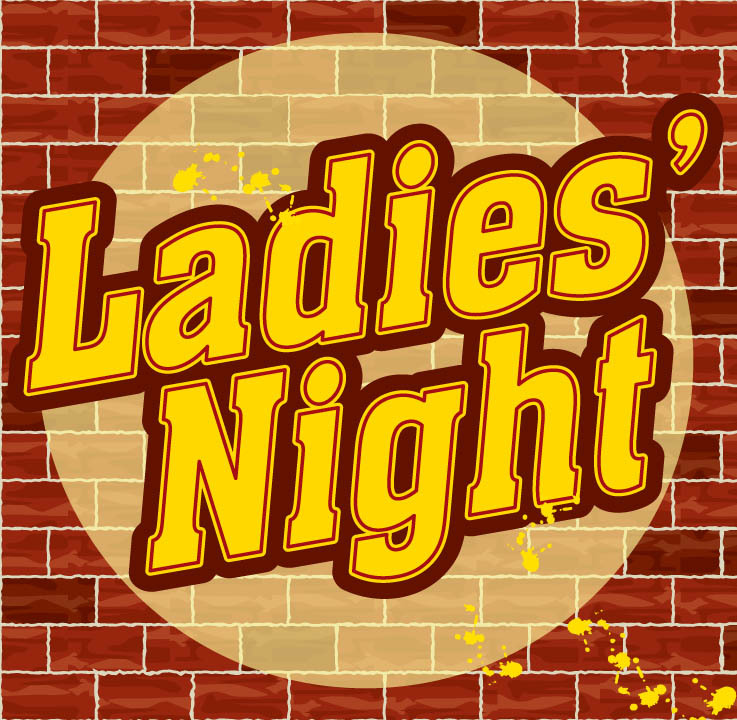 Ladies of all ages, come join us on the first Friday of the month for LADIES NIGHT! We meet downstairs in the fellowship hall to talk, play games, laugh, & have fun. Drop in anytime 6pm-9pm (or stay the whole time!) and enjoy a fun time with your sisters in Christ. Being a snack to share, your favorite game, a couple of friends, or just yourself. Look forward to seeing you on Friday! Every fall, the ladies spend a weekend at Falls Creek Retreat Center in Raymond, Washington. It is quite a nice getaway for a weekend of Biblical inspiration and fellowship. 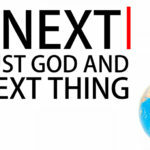 We have a guest speaker who will provide Biblical teaching. The grounds are beautiful and peaceful. There are times to hike the trails to the waterfall, enjoy the solitude as well as fellowship, crafts, and games. Times to find rest, peace, strengthen relationships and rejoice in God’s creation. Good food is provided for you. The rooms are nice and homey. This year, the retreat is scheduled for September 20th-22nd. Please check back for further information as the event gets closer. 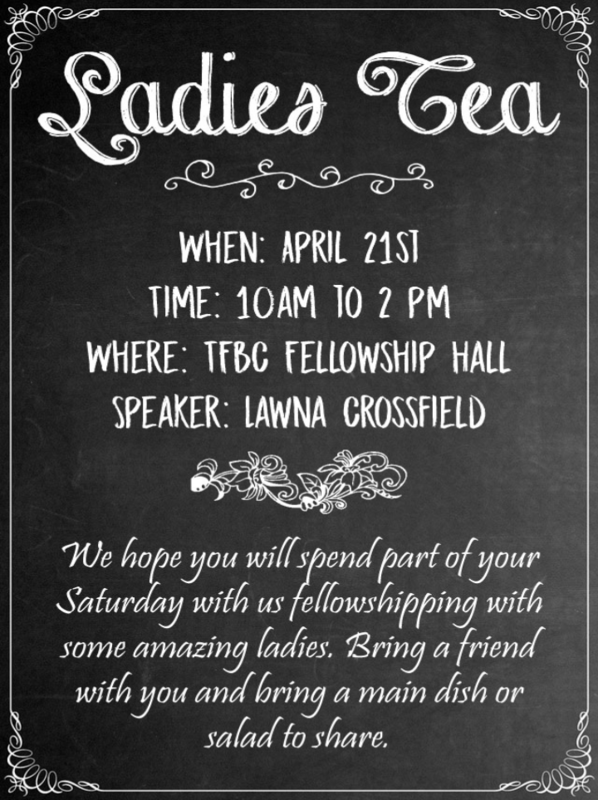 Our Ladies Tea is right around the corner, put it on your calendar. Our special guest speaker this year is Lawna Crossfield. This is a time to meet new friends and strengthen and enjoy relationships; to give and receive encouragement. Bring a friend with you and a main dish or salad to share. This year our Ladies Tea is scheduled for May 18th from 11am to 2 pm. Mark your calendar and invite a friend to come with you.